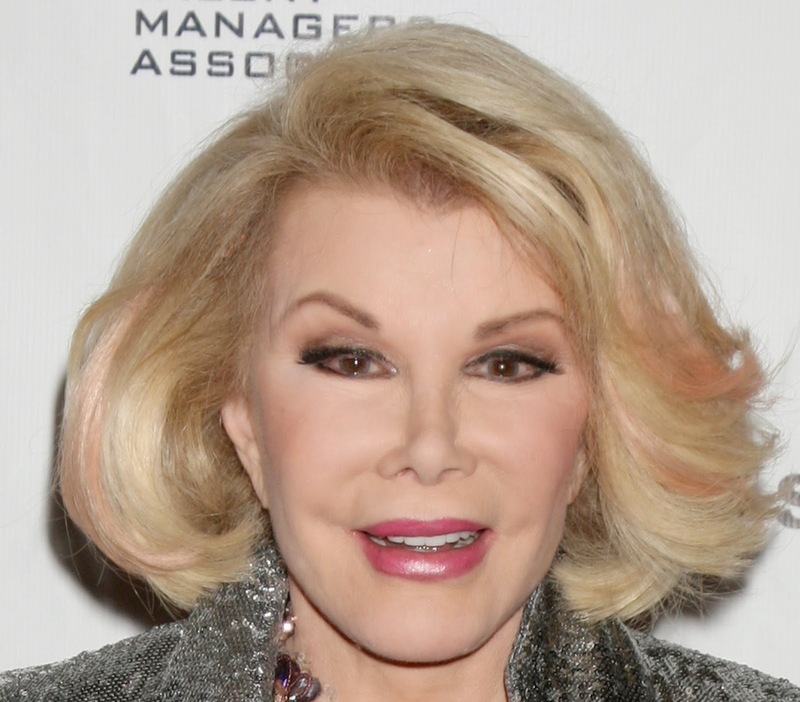 Comedy pioneer and talk-show host Joan Rivers passed away the afternoon of September 4th, which was made public in an official statement from her daughter, Melissa. She was 81. On February 4th, 1983, Rivers became the first female comedian to perform in Carnegie Hall. The comic began achieving professional recognition through the talk show circuit; she was a frequent guest of Johnny Carson’s iteration of “The Tonight Show” until he banned her for hosting a program on a rival network, “The Late Show,” in the mid-1980s. While her evening talk show stint later failed, Rivers was successful with her eponymous 1990s daytime talk show “The Joan Rivers Show,” for which she won the 1990 Daytime Emmy Award for Outstanding Talk Show Host. She also won the second season of “Celebrity Apprentice” in 2009. Terrible news about Joan Rivers. I was lucky enough to meet her a few months ago. She was still as comedically relevant as anyone. Joan Rivers @Joan_Rivers was an amazing woman and a great friend. Her energy and talent were boundless. She will be greatly missed. And her 1984 “Tonight Show” guest hosting stint.